The perfect combination of style and durable design, this beautiful backless bar stool from !nspire makes a terrific addition to any kitchen counter or breakfast island. You'll love its contemporary style, perfect for any room in your home. Styled with a modern chrome detailed base frame, it fits seamlessly into many trendy decors. Beautiful in style and durable by design, this Corliving slat back bar stool is sure to blend perfectly into your kitchen or dining area. You'll love its timeless style, perfect for any room in your home. Its stunning brown coloured base frame is surprisingly easy to match with other decor. This contemporary recliner from CorLiving celebrates style and comfort in a modern design. This finely upholstered chair delivers a quality crafted wood and metal frame, metal hardware and plush foam and fibre cushioning. The low profile legs give the chair solid stability, and the durable metal hardware will keep the reclining mechanism working at its best for years. The slightly angled backrest is padded with deluxe cushioning creating handsome styling, making it a treat to lean back and relax in style. 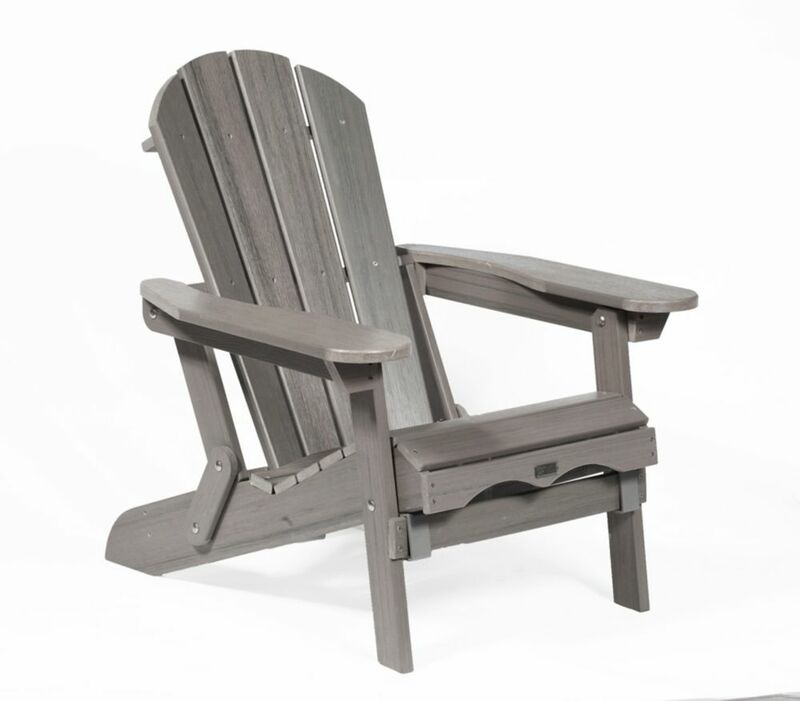 Grey Adirondack Folding Chair The Eon Adirondack Collection truly delivers lasting natural beauty. Crafted from an innovative all-season resin that boasts incredible fading and weathering performance, Eon's premium products maintain their beautiful, natural wood-like appearance over their very long lives. Eon technology eliminates the frustrations associated with sanding, staining and painting. Eon is one of the finest alternatives to wood available on the market today. This beautiful Adirondack collection is comfortable and durable and designed for easy assembly. To further compliment these beautiful Adirondack chairs, Eon also offers a matching side table and ottoman. Available in 3 amazing finishes: Cedar, Grey and White.